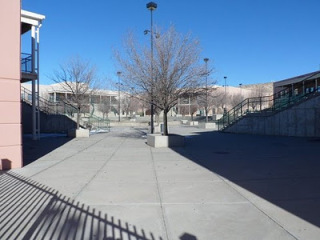 The high school featured in Darkness Surrounding is modeled after Rio Rancho High School, which I graduated from in 2009 (officially in 2010). At the time, writing DS helped me cope with my own insecurities as a basketball player. Zanni was, to me, someone I aspired to be; someone more cool-headed and confident who wouldn't take crap from anyone. 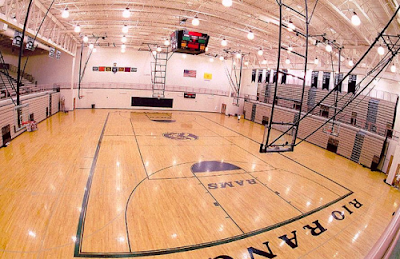 Fun fact: I used to work on editing Darkness Surrounding in the locker room during basketball fitness. I also used to edit it on the treadmill at the gym, but that's for a later post! I sat there a lot as well with my friends back in the day. I saw this car driving down the highway a few years ago and just knew that it was Zanni's type. I was lucky enough to spot (and remember!) the make. 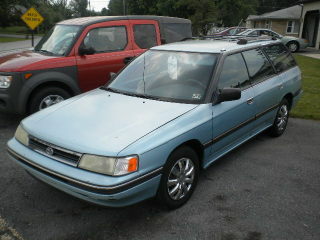 Huzzah for the 1990 Legacy Subaru!